Nassau, Bahamas - Award-winning Bahamian fashion designer Theodore Elyett will be presented with the Caribbean Style & Culture Award of Excellence in Fashion Innovation in Washington DC on June 27 in honour of the ninth annual Caribbean American Heritage Month. The Caribbean Style & Culture Fashion Showcase, organized by Karib Nation, celebrates and rewards the contributions of those that have significantly impacted the Caribbean region's rich culture and burgeoning fashion industry. This year’s event will feature sixteen of the leading Caribbean fashion designers from countries including The Bahamas, British Virgin Islands, Barbados, Guyana, Jamaica, and Trinidad and Tobago. 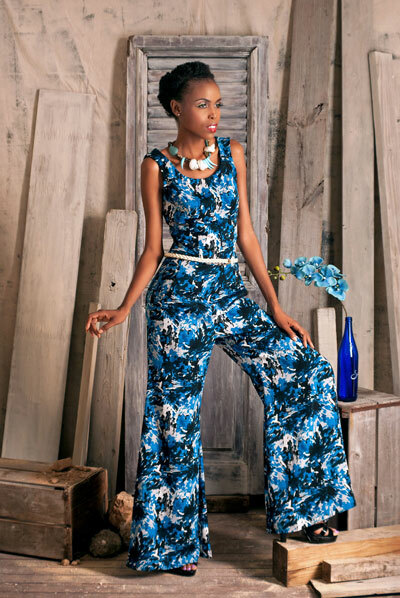 In addition to the Excellence in Fashion Innovation Award, Elyett was recently nominated for a 2014 Bahamian Icon Award in the Fine Art category. The Bahamian Icon Award recognizes Bahamian citizens who have exemplified excellence and achievement in their respective fields. Elyett is currently working on his upcoming summer and fall collections. The Theodore Elyett (TE) fall look book showcasing 30 images of the collection will be released in July. Following that, a summer block party to introduce the Watermelon summer collection will be held in August at The Tanya Saunders Boutique – where the line will retail.